As we kick off international Bat Week 2015, we hear from Catherine J. Hibbard, a Public Affairs Specialist with the U.S. Fish and Wildlife Service Northeast Regional Office in Hadley, Massachusetts. 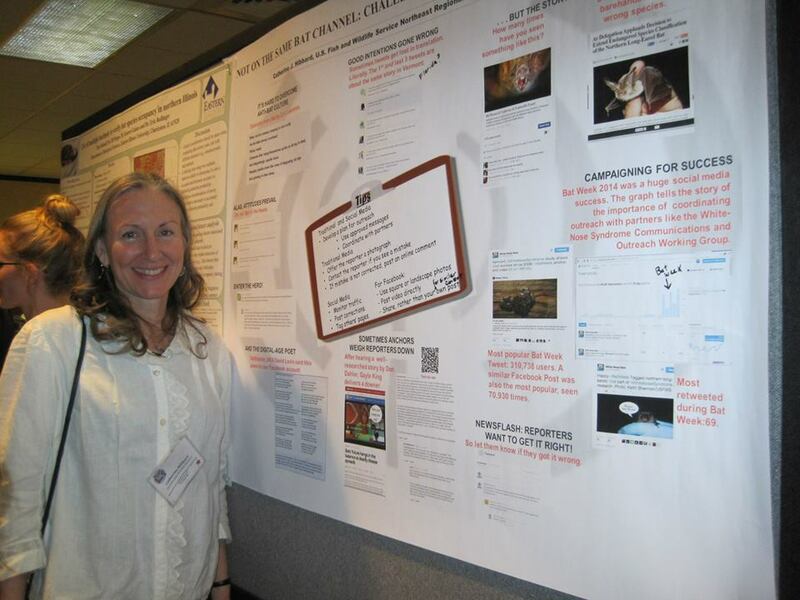 In addition to coordinating white-nose syndrome communications for the Service, she leads a multi-partner White-nose Syndrome Communications and Education Working Group as part of the national response to the disease. I’ve been the U.S. Fish and Wildlife Service’s lead communicator for white-nose syndrome for two years now and in that time I’ve seen quite a bit of confusion over bats and white-nose syndrome. Below are three of the most common issues. For more information, see www.whitenosesyndrome.org. The scientific name of the fungus that causes white-nose syndrome and fungus v. disease. White-nose syndrome is the name of the disease that some hibernating bats get when exposed to a fungus (not a virus or a bacteria) which was initially called Geomyces destructans. However, in 2013 researchers reclassified it to Pseudogymnoascus destructans. That’s a mouthful, but if you want to be cool at a white-nose syndrome social event or apply for a white-nose syndrome grant, we recommend using the reclassified scientific name! Not all bats that have this fungus on them are considered to have the disease white-nose syndrome because sometimes they don’t show signs of being sick if the infection hasn’t set in yet. And to make things more confusing, even sick-looking bats can’t be officially “confirmed” with white-nose syndrome unless laboratory results show a certain microscopic pattern of skin damage. Luckily, some kinds of bats do not get sick at all because the fungus doesn’t seem to grow on them. By the way, we use “white-nose syndrome” with no capital letters, not “white nose syndrome” and definitely not “white-nosed syndrome”. For social media we use #whitenosesyndrome because #WNS can give you results like the Wrestling News Source. How white-nose syndrome got here and where it came from. 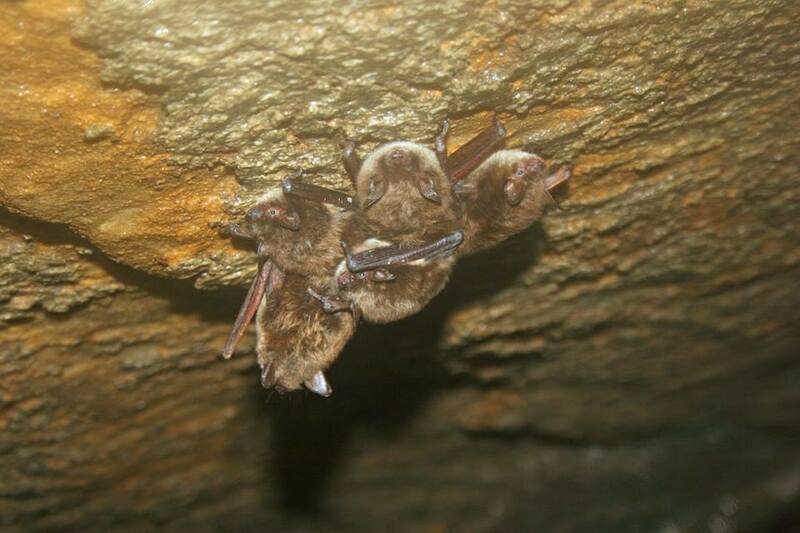 The first evidence of white-nose syndrome in the U.S. was retrospectively seen in a photo of bats taken in 2006 in a cave near Albany, New York but we don’t really know how it got here and where it came from. Because the spores of the fungus can last a long time, the most plausible explanation of how it got here is that someone accidentally brought spores on their shoes, clothes or gear from somewhere else outside of North America. Exactly where is unknown. So far, the best evidence suggests the fungus may have arrived from somewhere in Europe, but that may change as researchers test other places. A fascinating aspect of this mystery is that the fungus was not even known in other countries until we discovered it right here the United States. White-nose syndrome is now found in 26 states and 5 Canadian provinces. Another 3 states have discovered the fungus that causes the disease. “The Cure” for white-nose syndrome: Is there or isn’t there one? No, not yet in the sense that treated bats will live happily ever after. There are several lines of white-nose syndrome disease treatments being researched. Some have shown encouraging results in the lab and others have even been tested in a limited capacity in the field this year. The problem is that once Pseudogymnoascus destructans becomes established in the environment, each year as bats return to hibernation sites they are likely to be reinfected by the fungus. So, any treatment would probably need to be applied over and over again. Other challenges are figuring out how to apply treatments to large numbers of bats and making sure that these treatments are safe for them, other animals, the environment and us. We don’t want to create more problems by trying to solve this one. Not to mention that treating bats susceptible to white-nose syndrome may limit the ability of natural selection to favor genes of the few bats that do (yes!) survive white-nose syndrome. As you can see, it’s complicated. No wonder why people get confused! But with research funded by the U.S. Fish and Wildlife Service and our partners, we’ve learned an incredible amount about this awful disease in a very short period of time. Each one of us involved in the international response to white-nose syndrome rides on the hope of promising scientific breakthroughs. We do this because we think about bats and how important they are to us every day. This week, we invite you to share our passion for bats and learn more about them. Visit www.batweek.org and have a Happy Bat Week! 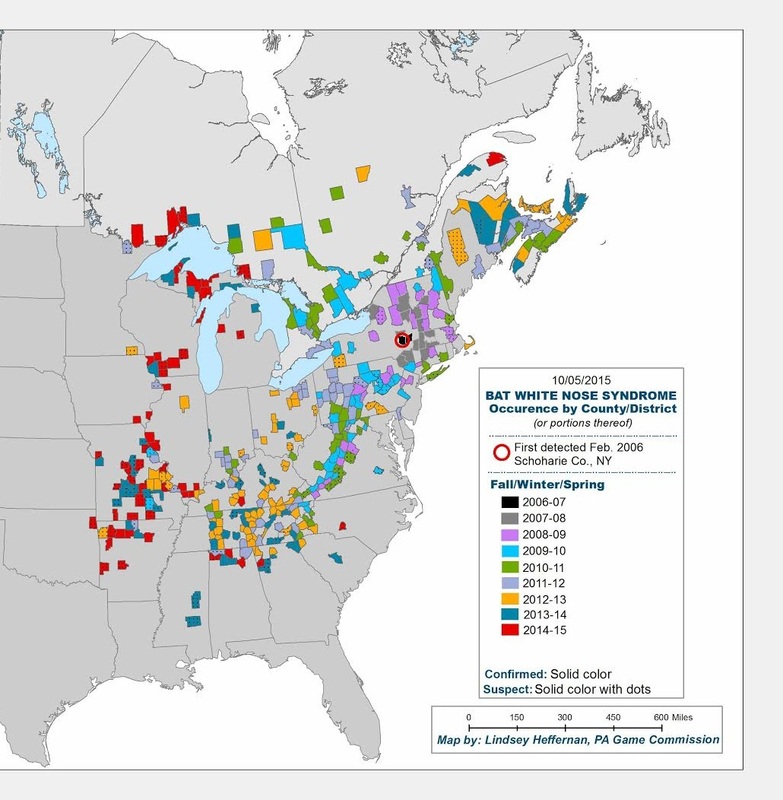 This entry was posted in Blog entries and tagged #whitenosesyndrome, bats, batweek, Blog, white-nose syndrome on October 26, 2015 by usfwsnortheastblog.